I wonder if many young children in India even know this vegetable. It is not a pizza topping nor is it a sandwich filling and it certainly is not part of any exotic non-Indian cuisine. Infact it grows in a tropical climate so many parts of Europe and north America don’t even grow this. In Africa its the least preferred … In modern India, it has probably vanished from the kitchen. For women especially this vegetable is immensely beneficial as it increases the level of the oestrogen hormone in the body and helps in the hormonal balance. It also provides relief during the pre-menstrual syndrome as it contains vitamin B6. My mother makes the Jimikand dry subzi and I convert that into a rice dish. So here’s the recipe. 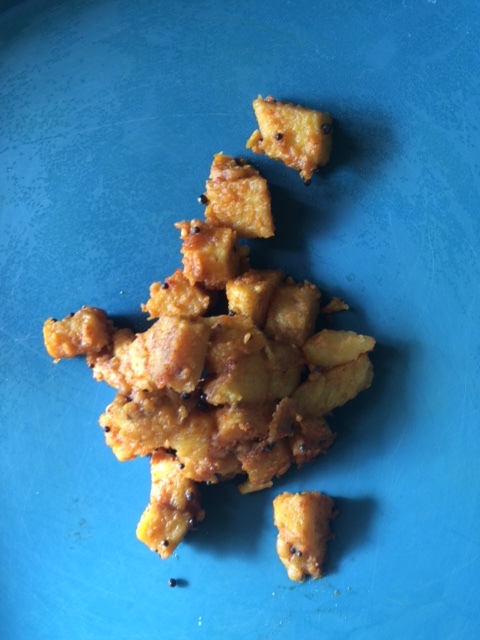 Cut the jimikand into small pieces, use a little water and cook it in a pressure cooker till its soft and then make it into a subzi, with seasoning of mustard, turmeric, salt, urad dal, red chilli powder. Just like you make the dry potato subzi. Make the rice earlier and let it cool completely. 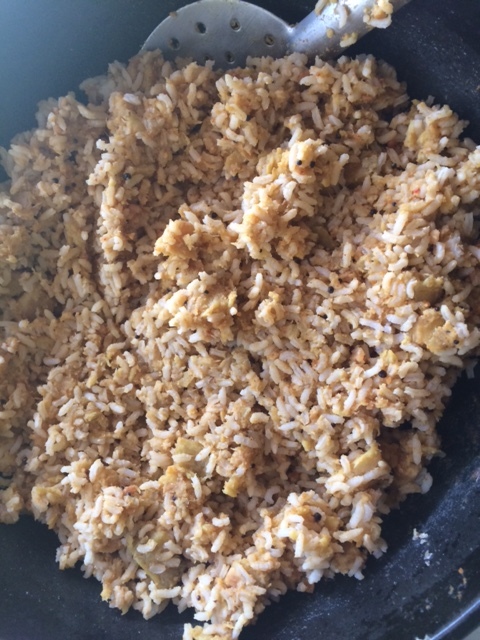 Once the Jimikand subzi is ready, mash it up in the frying pan and then add the rice and mix it well. If the rice is hot or even warm, the whole thing will become mushy, so its important to make the rice well in advance and cool it completely so that the grains separate out. The Jimikand subzi has to be hot otherwise you won’t be able to mash it well and it won’t mix well with cold rice. Adjust the spice and salt according to taste. This rice can be eaten with pickles or with Sambar or with Raita or plain curd and it tastes yum. Elephant Foot Yam can be tasty even when its not deep fried or made into chips… it has tremendous health benefits and can be made easily. So please add it back into your kitchens and enjoy a tasty and healthy meal. That is my most favourite vegetable. 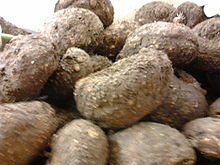 Going to the market get it and try this elephant foot yam with rice as per your recipe. This is really very delicious vegetable even it grows at our in Faizabad Uttarpradesh. My mother make very delicious vegetable by sooran. It may be cooked in dry form or gravy form. It’s gravy with rice test is so awesome. Medically this vegetable is very actively work.